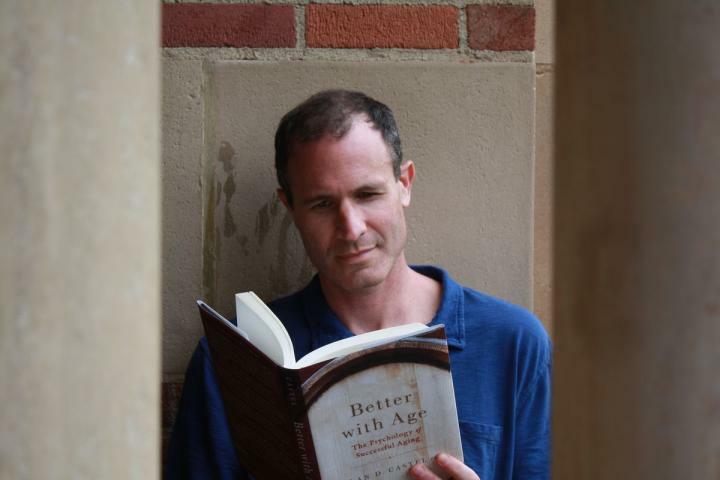 Successful aging can be the norm, says UCLA psychology professor Alan Castel in his new book, "Better with Age: The Psychology of Successful Aging" (Oxford University Press). Castel sees many inspiring role models of aging. French Impressionist Claude Monet, he notes, began his beloved water lily paintings at age 73. "There are a lot of myths about aging, and people often have negative stereotypes of what it means to get old," Castel said. "I have studied aging for two decades, and have seen many impressive role models of aging, as well as people who struggle in older age. This book provides both science behind what we can to do age well and role models of successful aging. While some books focus on how to try to prevent or delay aging, 'Better with Age' shows how we can age successfully and enjoy the benefits of old age. I have combined the lessons the psychology of aging teaches us with insights from some of the people who have succeeded in aging well." In another study, researchers analyzed Catholic nuns' diary entries made in the 1930s and 1940s, when the nuns were in their 20s, and determined their level of happiness from these diaries. More than 50 years later, 75 percent of the most cheerful nuns survived to age 80, while only 40 percent of the least happy nuns survived to 80. The happiest nuns lived 10 years longer than the least happy nuns. Happiness increases our lives by four to 10 years, a recent research review suggested. "As an added bonus," Castel writes, "those additional years are likely to be happy ones." In addition, after one year, those who walked 40 minutes a day three times a week showed a 2 percent increase in the volume of the hippocampus — an important brain region involved in memory. Typically, Castel notes, the hippocampus declines about 1 percent a year after age 50. "Walking actually appears to reverse the effects of aging," Castel says in the book. One study found that among people between 75 and 85, those who engaged in reading, playing board games, playing musical instruments and dancing had less dementia than those who did none of those activities. "Lifelong reading, especially in older age, may be one of the secrets to preserving mental ability," Castel writes. Set specific goals. Telling yourself to "eat healthy" is not very likely to cause a change; setting a goal of "eating fewer cookies after 7 p.m." is better. Similarly, "walk four days a week with a friend" is a more useful goal than "get more exercise" and "call a friend or family member every Friday morning" is better than "maintain friendships." How can we improve our memory? When Douglas Hegdahl was a 20-year-old prisoner of war in North Vietnam, he wanted to learn the names of other American prisoners. He memorized their names, capture dates, methods of capture and personal information of more than 250 prisoners to the tune of the nursey rhyme, "Old MacDonald Had a Farm." Today, more than four decades later, he can still recall all of their names, Castel writes. Social connections are also important. Rates of loneliness among older adults are increasing and chronic loneliness "poses as large a risk to long-term health and longevity as smoking cigarettes and may be twice as harmful for retirees as obesity," Castel writes. The number of Americans who say they have no close friends has roughly tripled in the last few decades. There is evidence that people with more social support tend to live longer than those who are more isolated, and that older adults who lead active social lives with others are less likely to develop dementia and have stronger immune systems to fight off diseases. "Staying sharp," Castel writes, "involves staying connected — and not to the Internet." A 2016 study focused on "super-agers" — people in their 70s whose memories are like those of people 40 years younger. Many of them said they worked hard at their jobs and their hobbies. The hard work was challenging, and not always pleasurable, leaving people sometimes feeling tired and frustrated. Some researchers believe this discomfort and frustration means you are challenging yourself in ways that will pay off in future brain and other health benefits. Research has shown that simply telling older adults they are taking a "wisdom test" rather than a "memory test" or "dementia screening" actually leads to better results on the identical memory test, Castel writes. As Castel quotes the Roman philosopher and statesman Cicero: "No old man forgets where he has hidden his treasure."